Students not only learn Catholic values, they live them. 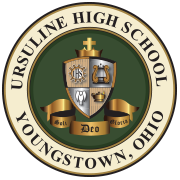 Ursuline High School is called to a mission that is grounded in the love of Christ and the faith of the Catholic Church. In the Ursuline tradition, Ursuline invites students and families from diverse faith, racial, cultural and socioeconomic backgrounds into a community of teachers and learners, of faith and faith-in-action. As a faith-centered educational community, we nurture each student’s growth in mind, body and spirit. Our intellectually, socially and spiritually stimulating environment encourages students to adopt a way of life that embraces service and challenges them to pursue with equal vigor the goals of academic excellence and faithfulness to Christ. Our students are given not just the knowledge and skills they will need to prosper in tomorrow’s world, but also the faith and virtues that can make them women and men of outstanding character. A four-year religious education curriculum. 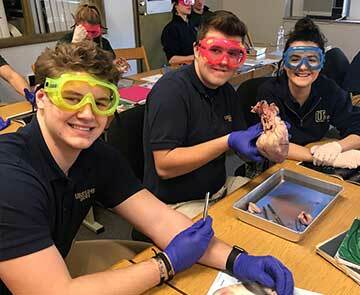 Numerous service opportunities, including Ursuline’s Good News Program and Senior Service Class, which has been adopted by other Catholic high schools. 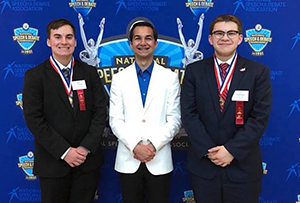 Recognized in the Mahoning Valley for our outstanding commitment to community service, Ursuline students, staff, and families willingly serve in numerous capacities in venues such as the St. Vincent DePaul, Casa Madre, and the Beatitude House. Students learn Catholic values, beliefs and practices that give them a solid foundation of faith for a lifetime. An annual class retreat, which helps to foster community awareness, unity, and deepen their faith. Opportunities for prayer during morning mass in the Ursuline chapel, religion class, and all school liturgies and prayer services. Ursuline students begin every class with prayer. Opportunities for Sacramental Reconciliation during Advent and Lent. 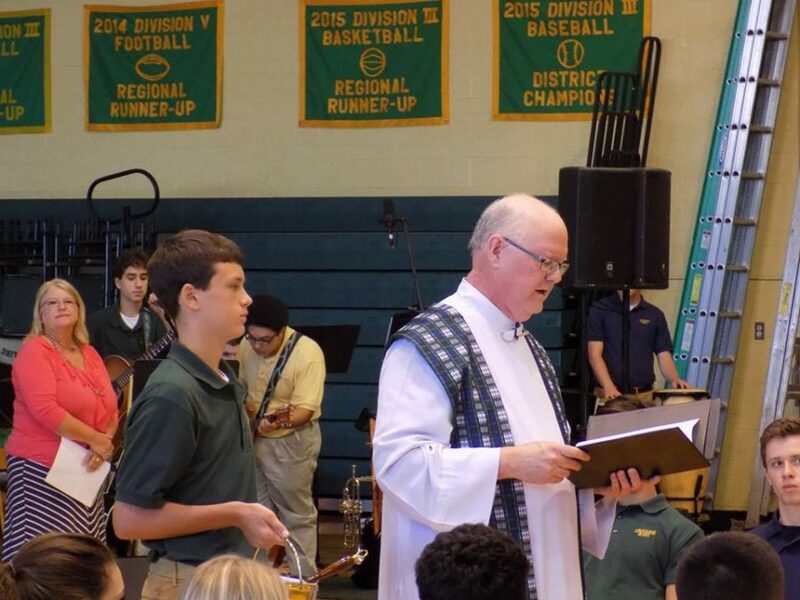 Student led liturgical planning and opportunities to participate as lectors, servers, Eucharistic ministers, and singers. The world around us is continually changing, for your children to become truly ready for what lies ahead, they need an academically rigorous curriculum that keeps pace with the times, yet remains flexible enough to suit his or her individual pursuits. But that is not all. It is also imperative to teach each student how to think independently, make excellent decisions based on knowledge and experience, and apply what they know with self-confidence. Equally important is to teach them to respect and appreciate the unique talents of others and work together collaboratively for the greater good. A rigorous, stimulating and challenging academic curriculum grounded in a culture of discipline and care. A superior fine arts program with an extensive four-year curriculum in visual and performing arts. Nine Advanced Placement courses offered for potential college credit: AP Biology, AP Calculus, AP Chemistry, AP English Literature, AP French, AP Spanish, AP US Government & Politics, AP US History and AP Psychology. Numerous electives to satisfy the interests and talents of students. Average ACT/SAT scores consistently exceed the national average; ACT Core Composite Score of 24.0. Key partnerships with our neighbor, Youngstown State University. 98% of our graduates pursue post – secondary scholarship offers for the Class of 2018 (102 students) totaling more than $9.5 million. Intervention services and peer tutoring for students needing extra help. Continued investments in instructional technology; 3 wireless laptop carts, 6 wireless iPad carts, a Distance Learning Lab, Digital Research Lab and 2 Art Department Computer Labs, secure student wireless network and Smart Boards in every classroom. an instructional program free from disruptions. develop relationships with adult mentors and other who share their values and interests. Visit our Student Life Page for more information on our extracurricular activities. 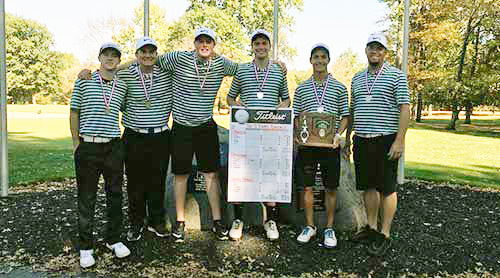 Visit our Athletics Page for information on our boys and girls athletic programs. Diversity in coursework, student body and pathways to success. We challenge students to explore, sample, and consider a vast array of course options and career directions. Students also interact with various ethnic and socioeconomic groups within the student body. This eye-and-mind-opening experience is not an elective. It is the Ursuline culture. Our belief is that this broad experience in high school promotes overall success in the real world that our students will encounter in college and beyond.